A 4-week online program that will lead you to a more healthy and whole life! This Shred is going to be a little different than my previous summer shreds. I am going back to basics! I think that sometimes we complicate healthy living and forget how much just moving more and eating clean really is the secret to long lasting healthy living! So we will be doing a lot of body weight exercises as well as using free weights. You can do these workouts at home or at the gym. It will be a combination of high intensity intervals and strength training. Like always my workouts are quick and efficient! None of this hour long workout stuff. You will be done in less than 40 minutes and burning fat like crazy! Most importantly my main goal for you all is to be Healthy and WHOLE in mind, body and soul. This Shred I will be adding in my Soul Shred devotionals. Encouraging you to spend some time feeding your soul before your day starts. Like always we will have an awesome Facebook Group where we can cheer each other on. It is so important to find like minded friends that are on the same fitness journey! 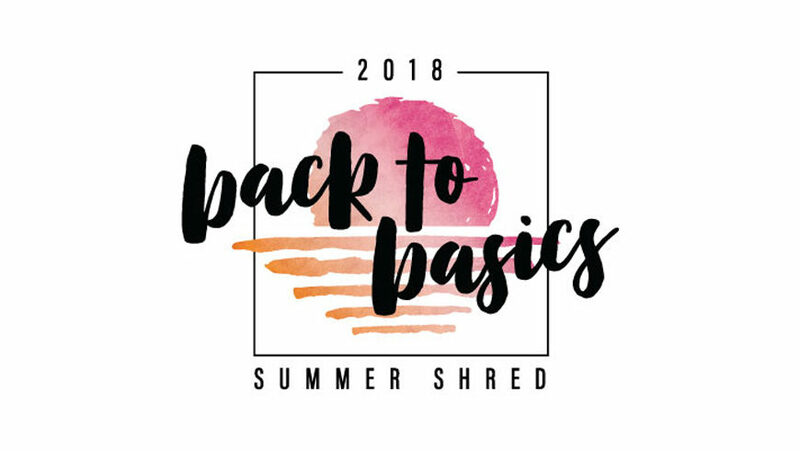 There is nothing better than the Summer Shred TRIBE! You will have to be part of the Facebook group to see live videos + meal inspirations daily. Lastly there will not be explanations of the workouts daily, instead I will be adding links to the different workout moves. I will also be posting explanations in the Facebook group, so you are going to want to share! After June 1st the price will go up to $45! – Some exercise equipment should will need: Dumbbells , Jump Rope, Timer (TABATA Timer is a plus), and some kind of Bench, Chair, Box Jump and/or Step-Up. – If your square account has an e-mail address that you DO NOT access often and/or is not an email that is associated with your Facebook account, PLEASE WRITE your email address you want us to use in the NOTES portion of your registration. I've also switched to a healthier lifestyle which comes with a strict diet and with intensive training. I'm training for a race with SportMe half marathon app and I feel like I'm on the right track.